There are things that you should just buy at the store. But surprisingly there are a lot of daily stuff that you didn’t even know you can make yourself. 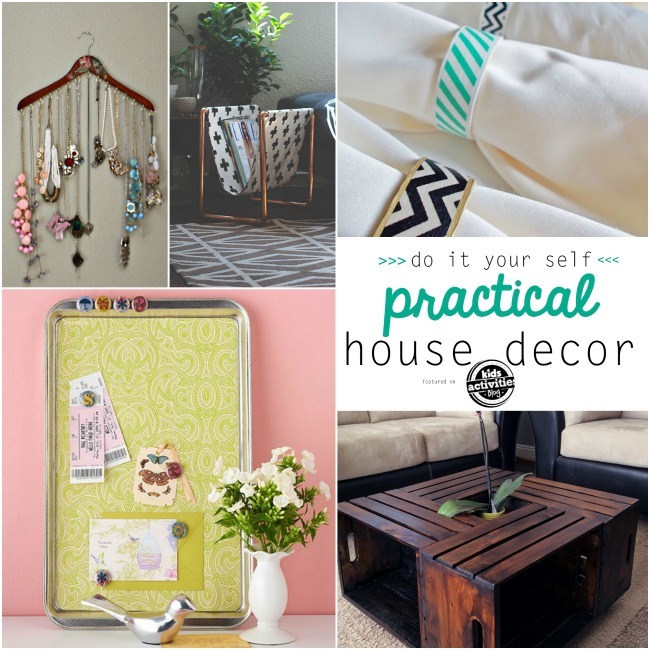 We gathered you more than 25 awesome diy projects and house hacks that not only will save you money, drastically improve house design, but also will give a great feeling of satisfaction of being able to make things yourself. This bottle lamp looks like it came from the design shop. Yet it’s homemade. Find out how to make one for yourself. Upcycle old t-shirts and make yourself a very colorful rug. Don’t want to buy expensive glass candle holders but still want fancy look? 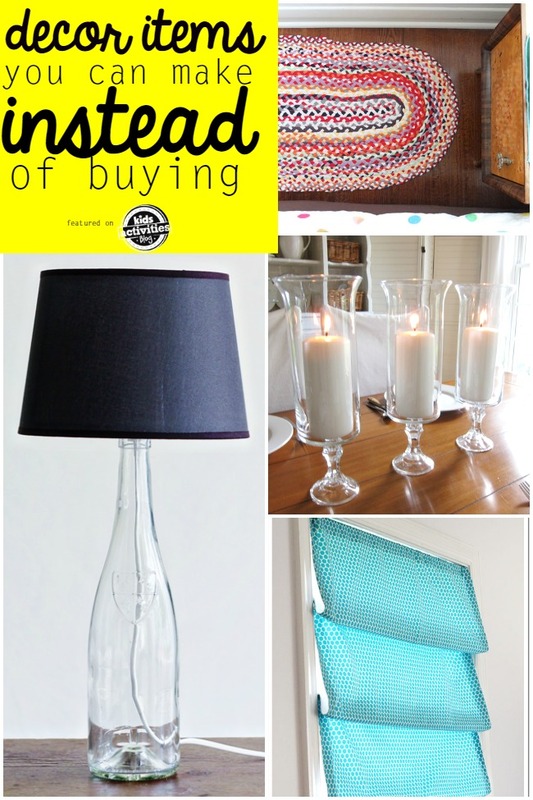 We found a great way to create affordable fancy candle holders. No-sew roman shade. Yes, it’s possible! 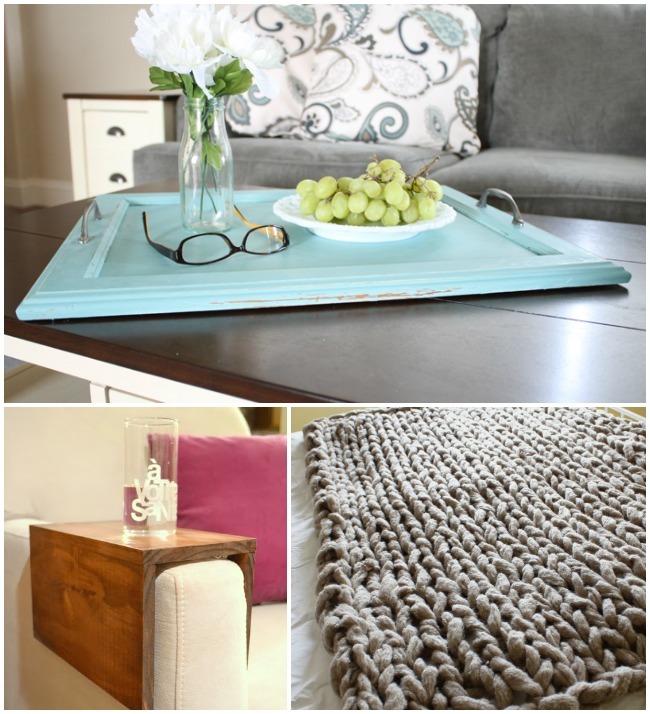 This distressed serving tray is so much better than the one you would buy at at the store. DIY wooden couch sleeve. It’s so simple to make one yourself. Have you ever tried knitting with your arm? No? Well, you should, because you can easily knit a cozy blanket in just 45 minutes. Check it out. Keep all of your jewelry organized with in this super simple DIY jewelry display. Super chic magazine stand made by you! These diy washi tape napkin rings will make your dinner table setting more festive. Need message board in in your kitchen? We love this one made out of an old cookie tray. This coffee table is on our to-do list. It’s just so beautiful. You can make this floor pillow in 1 hour. Such a great room addition, especially for the kids. Shopping at Pottery Barn is always fun, but it can get pricey. Good thing you can get a lot of inspiration from it and make things yourself, like these super cute place mats. Make your own wall art using Styrofoam. Why didn’t I think of this myself. Genius idea! Painted vases can add needed color to your room. Super simple DIY! Have a mirror that is just plain boring? No problem! There is an easy way to make it look awesome. Curtain skirt in 3 minutes! This will surprise you! You don’t have to get rid of unwanted artwork. You can spray paint it on top design you want. 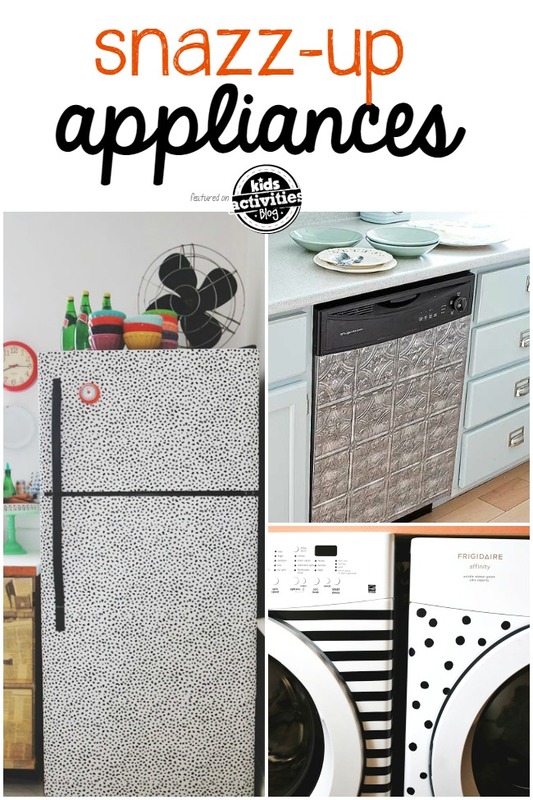 I am obsessed with this wallpapered fridge. It would be perfect for my boring kitchen. Metallic dishwasher that looks like an artwork! Surprisingly easy DIY project turned laundry room a lot more fun! Stripes and dots on the washer and dryer. Need to follow a recipe on the iPad while cooking in the kitchen? 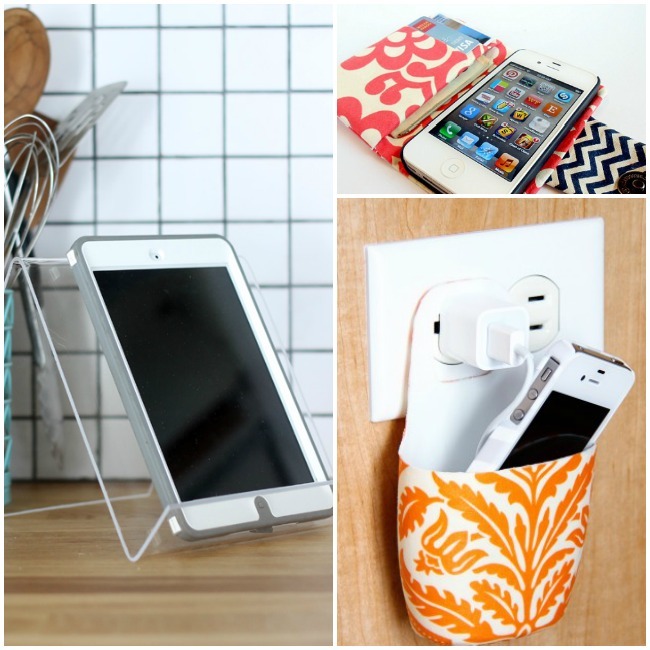 Make an iPad stand. Or you can sew an iPhone wallet. Could make a great personal gift. Stop putting your phone on the floor while charging. There is a super simple diy solution for that. 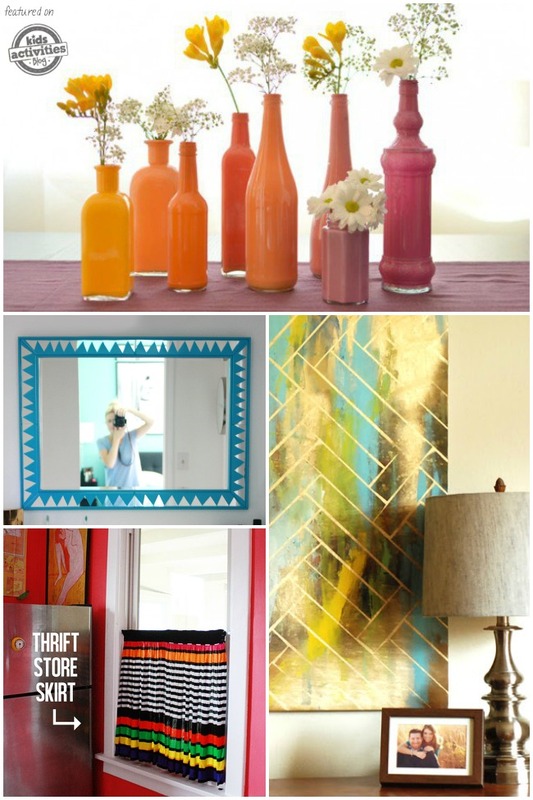 The post 25 Ridiculously Easy DIY Projects appeared first on Kids Activities Blog. ← July 4th Activities, Printables & Goodies!